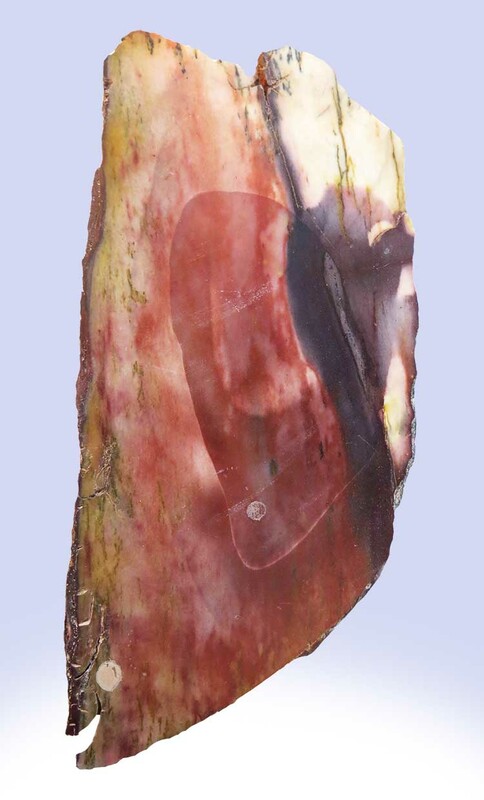 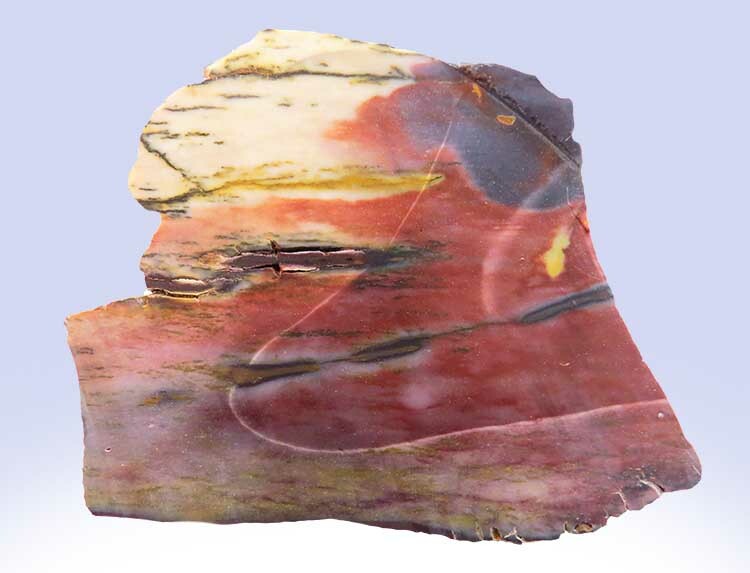 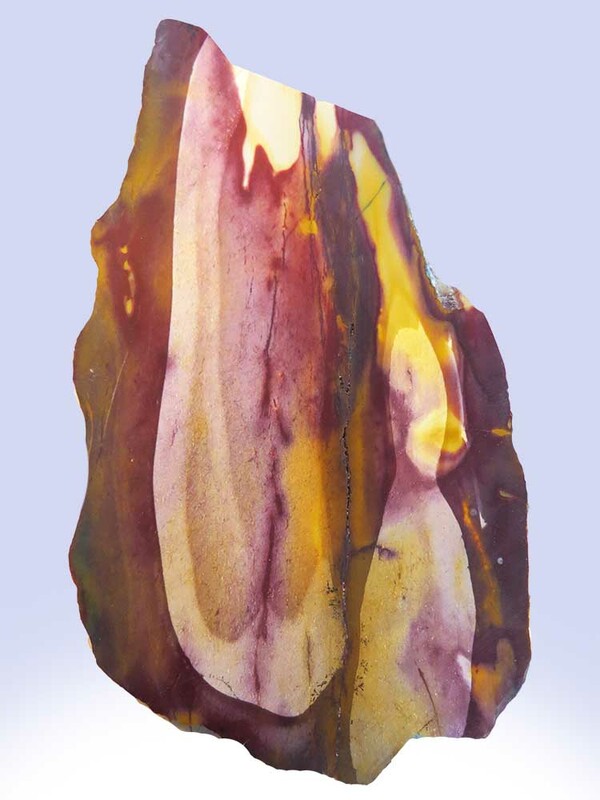 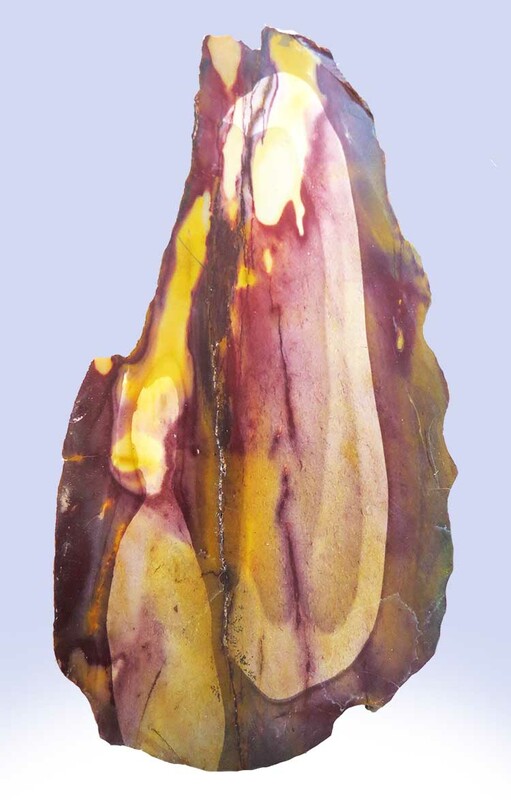 Mookaite is a type of jasper found mainly in western Australia. 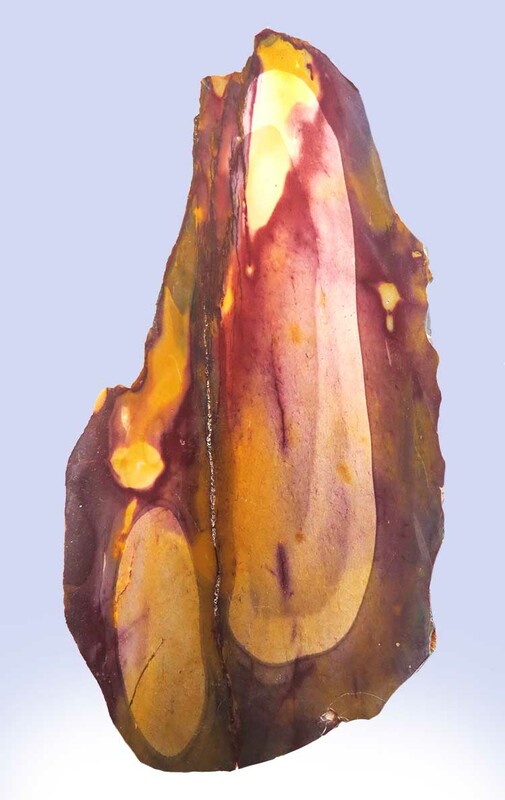 It is prized for its "water-color painting" patterns. 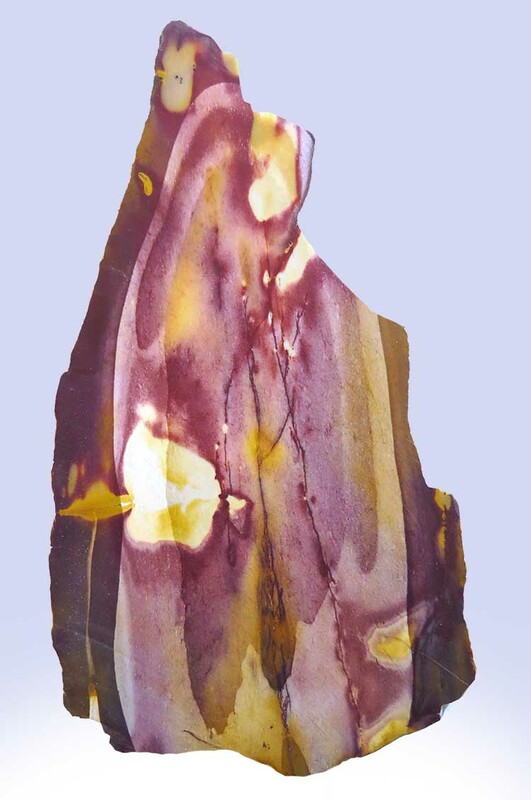 These gorgeous slabs were sliced by us and left uncoated, so they're perfect for those of you who like to make your own cabachons or for a craft project!